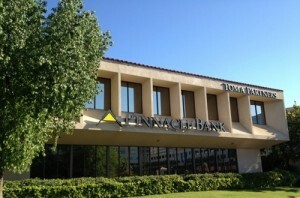 The Independent Community Bankers of America (ICBA) have declared April as Community Banking Month, and Local First Arizona is celebrating with an event to connect local business owners to the local financial institutions in their own communities. On Wednesday, April 29, from 6:00 p.m. - 8:00 p.m. at the Hotel Valley Ho in Scottsdale, local business owners are invited to attend a casual meet and greet with a variety of local banks and credit unions, where business owners will have the opportunity to connect with banking representatives and gather information, ask questions, and decide which bank or credit union is right for their business. Participating banks and credit unions for this year’s meet and greet with local financial institutions include MariSol Federal Credit Union, Pinnacle Bank, RepublicBankAZ, Gateway Bank, Desert Schools Federal Credit Union, Alliance Bank of Arizona, West Valley National Bank, and others. There is no cost to attend, attendance is restricted to business owners and representatives. Valet parking is $6. Free parking is available in some lots and along the street. More information and registration is available at bit.ly/MeetNGreetLFI.